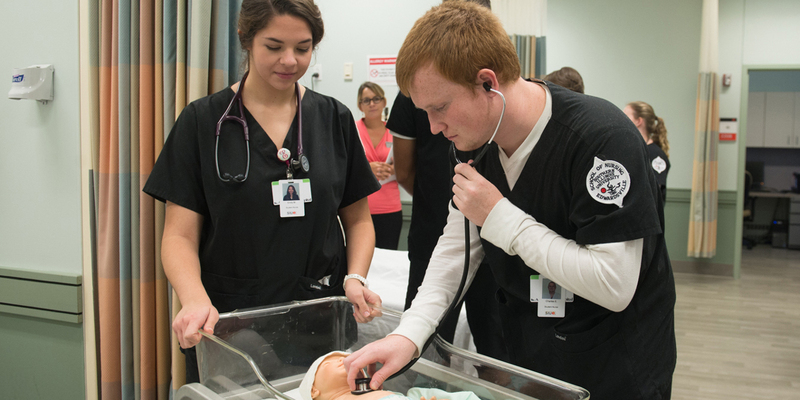 "Making Connections During Clinical Experiences..."
The SIUE School of Nursing offers dynamic programs of undergraduate study that are both theoretical and practical, designed to meet current and future challenges of nursing. Embedded in liberal arts courses, our students receive a well-rounded education guided by their personal faculty mentor. Once admitted into the nursing program, students are guaranteed clinical placements in agencies through the metro St. Louis area. The School’s programs prepare graduates to work in a wide variety of clinical settings and provide the necessary foundation for master’s and doctoral degrees in nursing. Our traditional bachelor of science in nursing (BS) program is intended for students seeking their first degree with no prior college experience. This option is offered at the SIUE campus and through the SIUE Regional Nursing Program at SIU Carbondale. The post-baccalaureate accelerated bachelor of science degree in nursing (ABS) option allows students with a bachelor’s degree to attain a BS degree in nursing through three semesters and one summer session. It is an intense, defined curriculum with a combination of classroom instruction and clinical experiences for students seeking a second baccalaureate degree. Registered nurses (RNs) who hold an associate degree (ASN) or a nursing diploma can pursue the RN to BS option. This option is offered in a convenient web-based format to accommodate the needs of working RNs. 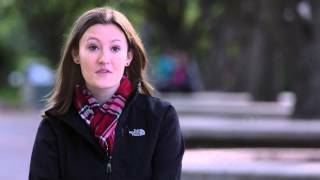 The School of Nursing welcomes qualified applicants from other colleges and universities. Selected nursing courses will transfer only from National League for Nursing Accreditation Commission or Commission on Collegiate Nursing Education accredited baccalaureate programs with approval of the Student Affairs Committee of the School of Nursing. Please contact an advisor for specific questions or concerns. The SIUE School of Nursing inspires students and faculty to embody the creativity to teach, the curiosity to learn, the courage to serve, and the compassion to care for others in this diverse and complex world, forever exemplifying nursing excellence in action. We encourage you to explore our undergraduate options by visiting their respective program pages.